As well as advising, designing and selling fire equipment, Combat Fire offers a full installation, commissioning and testing service. Installation can be a complex process and we strive to keep disruption to a minimum whilst fitting your alarms and fire fighting systems. 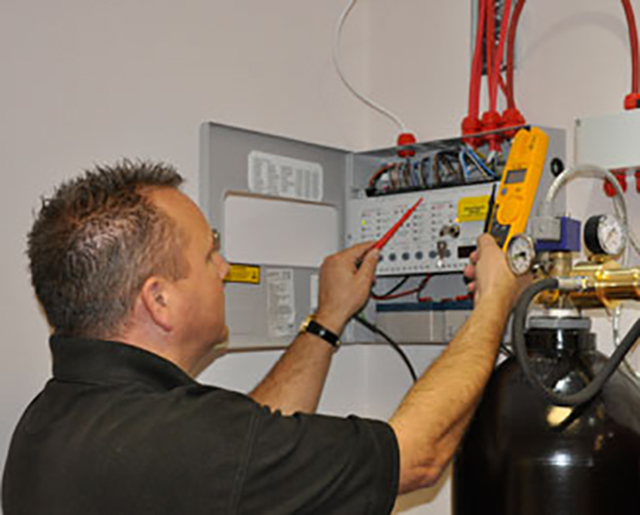 We operate all over the UK, with a team of skilled engineers available in every location. We are ready to install fire detection and fire fighting systems, ranging from simple extinguishers to sophisticated water mist systems. You can rest assured that we have the knowledge, capability and skill to assist you in your fire protection needs, right through the design, installation, commissioning and maintenance stages of your project. Call us now or contact us via our contact page.